Dual-cameras is the latest trend in the mobile technology industry since last year, starting from the Apple iPhone 7 plus to the cheap Chinese bluboo dual android smartphone from china. Phones need something new to stand out, and this technology easily satisfies that need. Today's dual-camera smartphones use the second lens for bokeh effects, enhanced data, optical zoom, and wide angle capture. The lenses may work together or act as separate cameras providing different results. 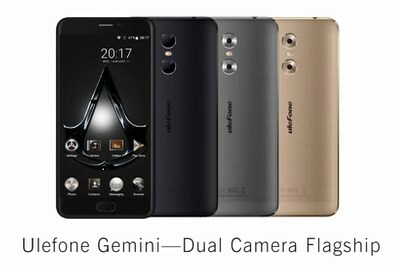 The Ulefone Gemini is the first device from ulefone that had the camera quality as a strong selling point. The phone is currently on pre-sale and should be available to the public soon. The back dual camera system consists of of a 13MP major camera and a 5MP sub camera. The 5MP camera does not function independently but works with the 13MP to achieve small depth of focus, which help to create an impressive bokeh effect. As for selfies, Ulefone Gemini features an 8MP front camera with beautification mode. It also features CNC metal unibody, 1.5GHz SoC, 3GB RAM and 32GB of storage. The display is 5.5 inch with a FHD resolution and its battery capacity is 3250mAh. The Huawei Honor 8 combines good photos from a dual-lens with two cameras on the back and a customizable button right below them that doubles as the fingerprint reader. The honor 8 proves you don't need to buy an expensive smartphones to get sharper and more consistent photos, it certainly gives you a depth-of-field. It features an RGB and one monochrome sensor, 1.25 um large pixel size, the dual 12MP lenses capture more lights, increase picture quality, bring bright color and crisper details to your photos. You can get more creative with your photos by using the Wide aperture mode, which enables you to blur background of your photos from F0.95 to F16, and allows you to redefine the focus even after photo taking. The AGM X1 is one of the most rugged smartphone in the market, and it is the first rugged phone equipped with dual camera. It comes with 13MP dual lens. Just like the iPhone 7 Plus, there is a wide-angle lens that sits alongside the main module making it easier to shoot a big group of people, a landscape or other shots. Thus, giving your shots more of professional look by changing depth of field. It has successfully pass all IP68 certification, meaning it is waterproof, dustproof and in most cases also shock proof. Based on the description of the certification it should survive under water for 30 minutes submerged in the depth up to 1.5m. 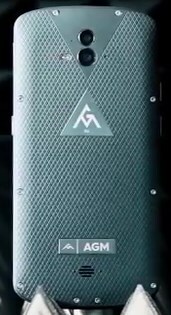 According to a real life test on youtube the AGM X1 survive being frozen in ice for 36 hours! which makes it one of the most durable smartphones in the world with dual cameras. 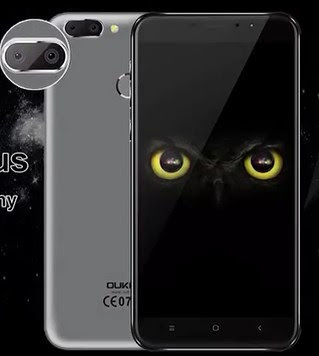 The Oukitel U20 Plus is definitely one of the most affordable dual camera smartphones. it has a dual camera setup and decent specs for the price of just about $100. On the back, we have Two-camera sensors that allows you to take pictures with bokeh effect. There is one 13MP shooter and another that has only 0.3MP. If you want to use the secondary camera, you have to select the SLR shooting mode. The photo results are pretty good and you get a nice shallow depth of field effect including some decent daylight photos. Bluboo Dual is one of the latest cheap Line bluboo smartphones with dual-camera for under $150. The Bluboo Dual offers a 13 MP Sony sensor, supplemented by a secondary 2 MP shooter for more accurate depth of field representation. The set also allows to shoot first, and then refocus later for some unexpected vantage points. In addition, selfie maniacs will appreciate the 8 MP frontal cam with the obligatory beatifying effects that can save you a trip to the make-up cabinet. In terms of design it house a thin 8mm machined aluminum chassis that comes in Black, Gold, and the inevitable Rose Gold. The Bluboo Dual is still shorter than your average 5.5-incher at 150mm, and looks quite elegant. 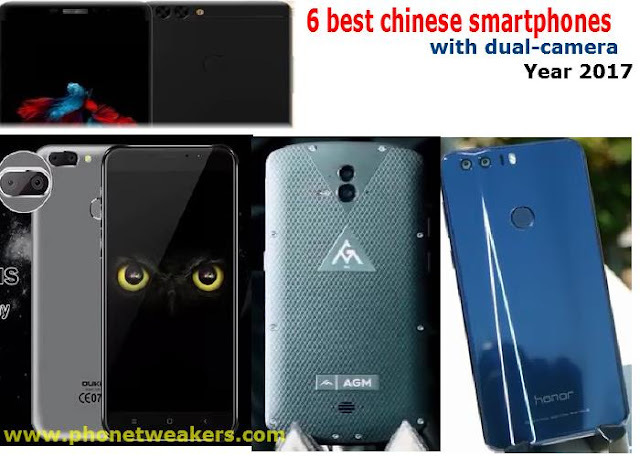 As for the specifications, it is equipped with a 5.5" 1080p Sharp LCD display, a quad-core MediaTek chipset coupled with 2 GB of RAM, and offers 16 GB storage plus a microSD slot that supports memory cards up to 256 GB. A 3000 mAh battery and supports USB OTG. The Vivo V5 Plus uses a 20-megapixel sensor with an f/2.0 aperture and an additional 8-megapixel sensor for depth. The second 8MP is used to generate a bokeh effect in the camera app by separating object from the background. You can adjust the aperture depending on how shallow you want the depth-of-field effect to be. The effect is actually pretty cool, and the 20-megapixel camera manages some detailed selfies, even in low light. Other modes includes Auto HDR and Face Beauty. On design, the antenna bands on the Vivo V5 Plus look identical to the ones on the new iPhone 7. The full metal back feels sturdy, and we quite like the soft gold finish on the phone. 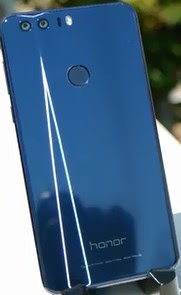 in term of spec it features a Qualcomm Snapdragon 625 SoC, 4GB of RAM, and 64GB of storage and the 6-megapixel sensor rear camera is very good too.